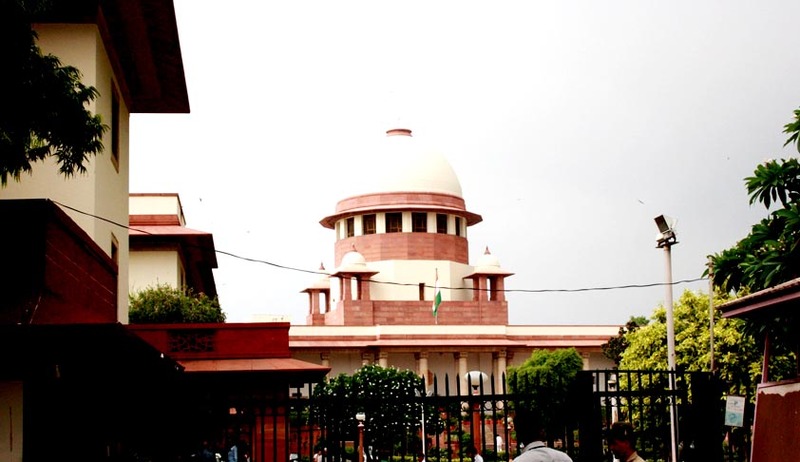 Supreme court has asked the government to resolve all disputes arising out of the issue of invoking Suppression of Unlawful Acts against safety of Maritime Navigation And Fixed Platforms on Continental Shelf Act against two Italian marines in Enrica Lexie case within a week. A bench headed by Justice B S Chauhan directed the Centre to end the deadlock in the issue in which ministries of law, home affairs and external affairs are involved and make its stand clear by February 10. The bench was hearing the petition filed by Italian government challenging invoking of anti-terrorism law SUA (Suppression of Unlawful Acts against safety of Maritime Navigation And Fixed Platforms on Continental Shelf) Act, saying it is against the order of the apex court which allowed proceedings only under the Maritime Zone Act, IPC, CrP.C and UNCLOS. Attorney General Goolam E Vahanvati told to the court that the Centre has "almost" resolved the issue and will respond on the next date of hearing. Senior Advocate Mukul Rohatgi, who appeared for Italian Government and Marines, submitted that the Centre has not been able to proceed in the case and 13 months have lapsed since the apex court has passed the order for conducting day-to-day proceedings. He further submitted that marines should be allowed to go back to their country. Two fishermen were shot dead by Italian marines Massimiliano Latorre and Salvatore Girone on February 15 2012 on the coast of Kerala. After the initiation of criminal proceedings against the marines in Kerala, Supreme Court in its order dated 18 January 2013 in Republic of Italy V. Union of India held that Government of Kerala lacks Jurisdiction to prosecute the Italian Marines and directed Centre to start with prosecution against them. “While, therefore, holding that the StateofKerala has no jurisdiction to investigate into the incident, I am also of the view that till such time as it is proved that the provisions of Article 100 of the UNCLOS 1982 apply to the facts of this case, it is the Union of India which has jurisdiction to proceed with the investigation and trial of the Petitioner Nos.2 and 3 in the Writ Petition. The Union of India is, therefore, directed, in consultation with the Chief Justice of India, to set up a Special Court to try this case and to dispose of the same in accordance with the provisions of the Maritime Zones Act, 1976, the Indian Penal Code, the Code of Criminal Procedure and most importantly, the provisions of UNCLOS 1982, where there is no conflict between the domestic law and UNCLOS 1982”, the Bench headed by Justice Altamas Kabir said. The joint petition was filed by Ambassador of Italy Daniele Mancini along with Italian marinesMassimiliano Latorre and Salvatore Gironeseeking direction to the Centre and NIA to expedite the proceedings in the case or discharge the marines.